Discover your capacity to provide purposeful and powerful support to your students during and after pregnancy! Pregnancy and the postpartum period are dynamic transitions. Learn how to harness yoga’s potent tools and champion your students in realizing their strengths and their capacities within a supportive community. Discover the ways that Prenatal yoga can increase comfort, self-confidence and self-care in each of the four trimesters. 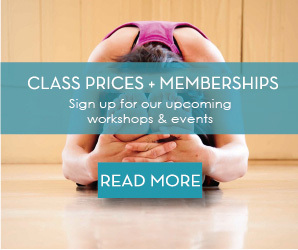 Deepen your knowledge of prenatal and postpartum yoga, pranayama, and meditation. This program works easily with YOUR schedule, will prepare you for teaching prenatal and postpartum students, and will strengthen your teaching skills. Whether you wish to teach prenatal yoga classes, hope to demystify pregnancy and the postpartum journey, or seek a powerful complement to an existing skill-set, this 85-hour training supports your self-growth and enhances your teaching toolkit. • Learn how to ease the discomforts and challenges that come with pregnancy and postpartum healing. • Use mindfulness, breathwork, and yoga in support of labor, childbirth, and parenting. • Increase your understanding of human anatomy, especially the pelvis, psoas, and pelvic floor. • Gain tools for supporting populations undergoing major changes, including pregnancy, pregnancy loss, childbirth, and parenting. 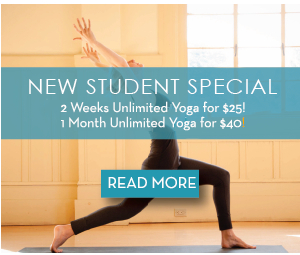 • Strengthen your ability to modify your yoga classes, teach sensitively and confidently, and apply what you’ve learned. Yoga instructors with a 200-hour certificate will be eligible to register as Certified Prenatal Yoga Teachers through Yoga Alliance upon completion of this training. The training is also beneficial for birth workers or life coaches who are looking for potent tools to support your clients. This program includes all five weekends, ten hours of observation (independent of training weekends), and a final project. Prenatal Yoga Teacher Training tuition includes a training manual and course materials. Observe 10 hours of prenatal or postnatal classes and/or workshops. Complete and submit an independent project. Complete homework and reading assignments. Winter Brown has been teaching Prenatal yoga for nearly seven years. She firmly believes that pregnancy and the postpartum period can offer an empowering journey that affirms people’s experiences and cultivates their intuition. She strives to create classes that are inclusive, trauma-sensitive, empowering for her students, and that honor diverse birthing experiences.